The 2015 Click Conference held at the Hilton Hotel in Watford was a resounding success with a host of trade stands enthusiastically supporting Charlie Kaufman’s Click Corporation. 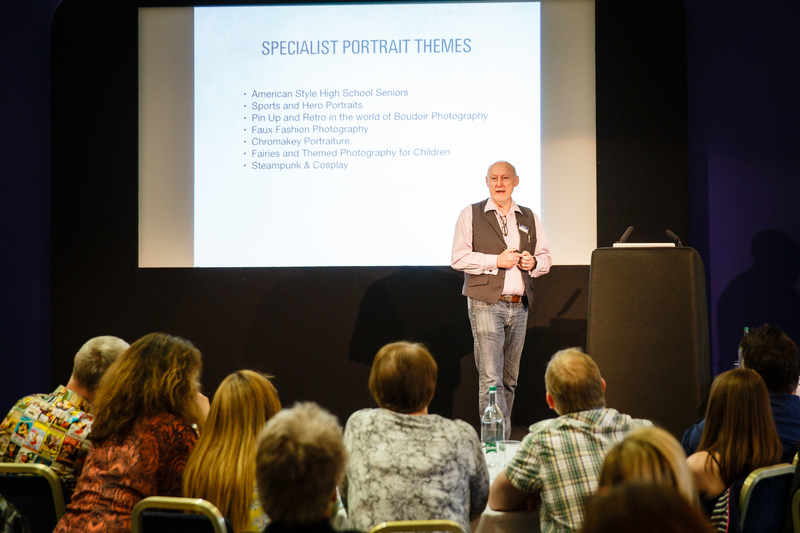 I was asked to make two presentations over the two days on Specialist Portrait Genre’s and The Pop-Up Studio Business. My aim was to put forward options to traditional working methods to introduce variety and vitality to portrait studios. Some of the key specialisms are in latter stages of development to be transposed into the UK market, most particularly lucrative and creative ‘US Seniors’ that are the lifeblood of so many American portrait businesses. Its all a matter of branding after all. The ‘Jif’ and ‘Cif’ cleaning product being a prime example of alternative branding to suit two specific markets. The notion of the Pop-Up Studio is exactly the same as the popular alternative to fixed premises as seen in the restaurant business. Some of the world’s top chefs have taken the pop-up restaurant to great heights, essentially taking advantage of the novelty of a new entity that springs up, does well and then disappears before any rot sets in. So why not do the same in photography? After all, so many studios have retreated from the high street to working from home. If you need a premises, then rent it for a short period. Introduce a product that has great customer appeal and then close it down. Re-appearing with the same formula some time later. The novelty will be sure to recall memories of a great client experience and fire the desire to experience your services before its too late. Food for thought? I believe so.